Sorry, but, for working mums, a new UK survey that finds there are plenty of women without children who feel they put in more effort at their jobs than their parental peers sounds a lot like a playground taunt. According to the Daily Mail, the survey of British working women conducted by Red Magazine in the UK, finds 40 percent of childless employees say they work harder than the parents in their office. On the other hand, 78 percent of the non-parents do note that being a working parent seems to amount to two full-time jobs. Yes, this survey was done across the pond, but we’re guessing the results would be similar here. For their part, the newspaper notes, most working mums surveyed (96 percent) don’t think their childless colleagues harbored any ill-will when they needed to leave work for family obligations. Guess again. Forty-one percent of those without kids said it was “unfair as they are left to pick up the pieces,” according to the Mail. But it’s all relative, right? 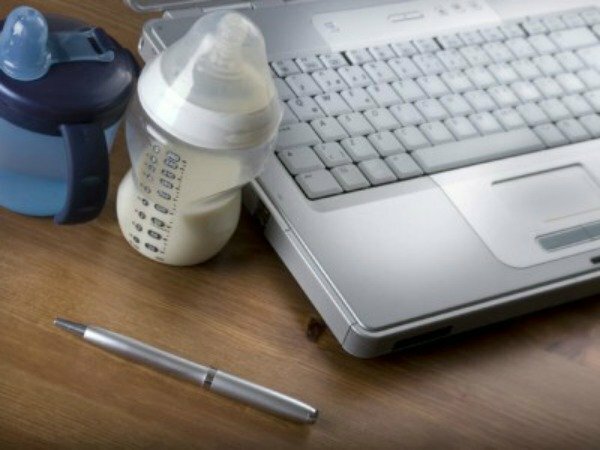 Half of working mums surveyed say they’re stressed all the time, 60 percent say it’s hard to turn off work-mode when they leave the office and 59 percent feel, you guessed it, guilty for spending too much time away from home, the newspaper reports. These truths are universal, huh? Despite the guilt, a whopping 86 percent of working mums say they enjoy interacting with fellow grown-ups and another 68 percent are happy to be back in the office environment, the Red survey finds, according to the Mail. For now, we’ll choose to live in ignorance that our non-parent co-workers are cool with cutting us some slack when we need to run to pick up a sick child from school, leave early to catch the last minutes of a soccer game or extend an occasional lunch hour to see half a school play. Do you think your childless co-workers carry the can for you? Lesley Kennedy writes for ShopAtHome.com&apos;s Online Shopping Report. Find her on Twitter @denveralamode and Google +.